Is Fuel Injector Cleaner Necessary? 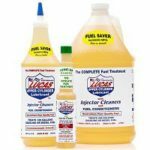 With how injector cleaners are marketed, it’s not uncommon to start believing they are absolutely necessary for any car or motorcycle owner, farmer with a lot of farm equipment, or even for someone using a simple engine powered lawnmower. But in reality, it’s not quite so mandatory. Any injection engine will run just fine without using injector cleaner. To a point, anyway. Using injector cleaners isn’t necessary for the function of an engine, but it’s highly beneficial for the performance and life span. It’s like using drain cleaner every now and again to make sure the pipes in your house aren’t clogging up. Or cleaning the inside of your computer of dust so it doesn’t overheat. Or getting rid of limescale on the heating elements of washing machines or water boilers and such. None of those things are “necessary” for the function of those systems, but it’s highly beneficial for helping them remain at peak performance and working properly for longer. 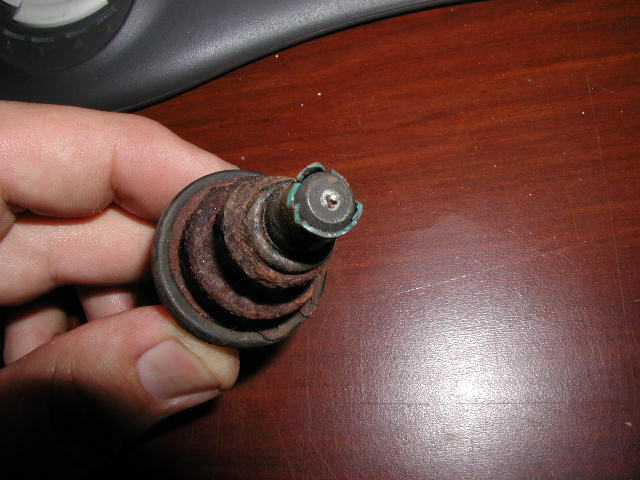 You don’t want your injectors to end up looking like this, do you? You can even make the somewhat awkward analogy of comparing it to brushing your teeth. You don’t have to do that either, but if you don’t, your teeth and gums will suffer and might eventually develop infections or fall out altogether. Not to mention the bad breath and taste you’ll experience along the way. Many people dislike the constant burden that ongoing maintenance brings, but unless you want to shell out major cash for replacement parts of completely new products, there really isn’t much of an alternative. It’s best to make maintenance of any engine a priority habit early on. Pick out a suitable cleaner for your engine and try to set up a routine that’s easy to follow and hard to forget. Try coming up with methods like putting a sticker under the gas tank cap, so every time you get ready to fill her up, you’ll be reminded to add some cleaner. Or maybe put up a small sign in the garage, so that when you go to give your car a quick polish during the weekend or take that lawnmower out, you’ll again be reminded to add some cleaner while you’re at it. Bottom line being – it’s not that hard to do, and while the answer to: “is fuel injector cleaner necessary” – is a simple no, there are benefits worth obtaining. The mechanic at my Honda Dealer recommended the Lucas Fuel Treatment for my 2014 Accord once it reached 40,000 miles. He recommended using the treatment at every other fill up of my gas tank. I have since traded the Accord and now own a 2015 Passat that uses unleaded gas. As I am approaching 40,000 miles, the VW service tech advised me to use VW’s M3 Fuel Additive that is a lot more expensive than the Lucas Fuel Treatment. Is there a difference between the two fuel treatments? Look forward to your comments.